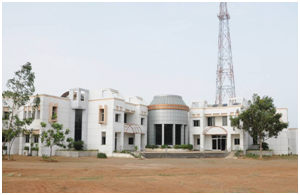 TREC-STEP is a model, full fledged Science Park situated in 50 acres of land, with a unique Innovation and Research orientation and well honed systems for nurturing technology innovations into high tech, high growth start-up enterprises. TREC-STEP provides comprehensive, end-to-end support for start-up promotion and growth, with five dedicated, venture incubation packages such as Strategic Support, Infrastructure, Funding, IPR Strategy Facilitation and Internationalization and ICT support. In addition to this, TREC-STEP acts as a dynamic and rich networking platform, offering the incubatee companies, essential venture growth nutrients at various phases of Venture growth, such as mentors for technology fine-tuning, market strategizing, management expertise, etc. Precise Market information for commercializing innovations, linkages to various value adding service providers, access to testing labs, specialized research institutions and to research groups etc. are provided as per the individual requirement of each venture. TREC-STEP regularly organizes special interaction meets with Experts from various cutting edge areas of Technology and with other resources persons, for the benefit of the Incubatee entrepreneurs. TREC-STEP has robust monitoring and evaluation systems to regularly record the Venture growth, with the entrepreneurs and support them further in the development of their innovative products / processes and to widen their market reach.